There are many questions you should be asking yourself before buying a new car. In addition to that, there are several myths regarding the buying process that you might have previously mistaken for facts. We’re here to set the record straight and make sure you know what to expect when buying a new car. Hopefully, this article will prepare you for a variety of scenarios that could take place at the dealership. Surprisingly enough, your method of payment won’t really affect the car dealer’s willingness to negotiate the price. That being said, don’t be fooled. Paying in cash won’t ensure your chances of getting a better deal. There’s no need to tell the car salesman exactly how much you’re willing to pay right off the bat. The most important thing to do is simply show that you’re serious about leaving the dealership with a new vehicle. Sometimes it doesn’t make a difference if you wait a couple of days before making a final decision to buy. Unless the particular model of car you’re looking at is about to sell out completely, you don’t have to worry about missing out on that “too good to be true” price. To avoid buyer’s remorse, take your time and only agree to buy when you feel 100 per cent certain it’s the right car at the right price point. If you’re feeling rushed or unsure, don’t be afraid to walk away. It just means you haven’t found the right deal yet. Many buyers tend to focus on one aspect of the purchase, whether it’s the initial cost of the car, the interest rate or the monthly payments. 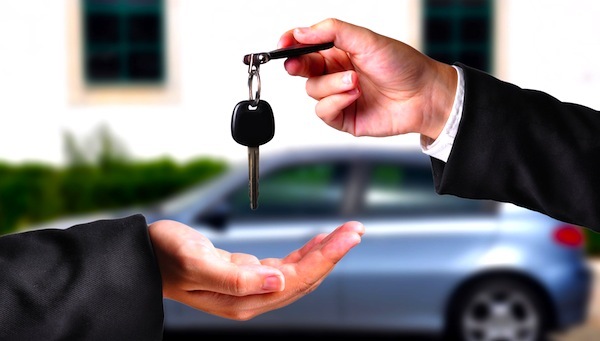 It’s important to take all of these factors into consideration before buying a new car. Just because you got a deal on the price, doesn’t necessarily mean it’s a smart buy. Do the calculation for each cost factor so that you’ll be absolutely sure you get the best deal. It’s understandable to think that you should always go to the same dealership you bought your vehicle from. However, it can be an unnecessary hassle, and you’re definitely not expected to do so. You can purchase, and have your car serviced at whatever dealership is closest, and most convenient for you. Many manufacturers offer incentives to their dealerships for reaching their sales target. This means that most stores will be working hard to make sales all month long, but especially in the first couple weeks. Turns out you may actually get a better deal at the beginning of the month! Once again, the most important thing is to buy when it makes financial sense for you to do so. Certain deals and bargains can take place at any time. Just keep an eye open online and in advertisements! Never be afraid to ask questions, as the top priority is that you walk away happy! For more information about current promotions or car models, contact us today!